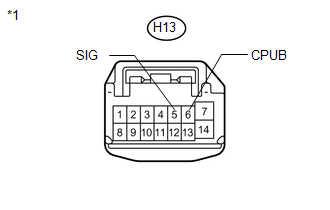 No communication from the outer mirror control ECU (for front passenger side) continues. 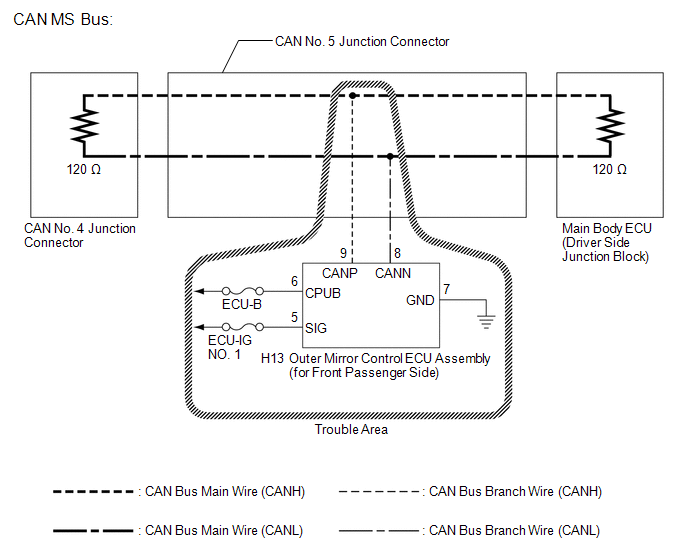 If CAN MS bus DTC U1002 is output from the main body ECU (Techstream display: Main Body), troubleshoot for U1002 and check for malfunctions in the CAN MS bus circuit. 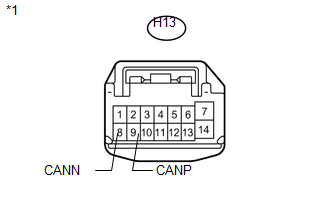 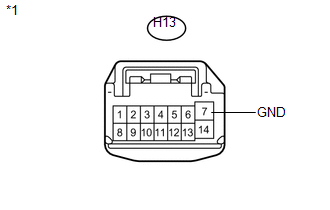 (b) Disconnect the outer mirror control ECU assembly (for front passenger side) connector.